Crystals have been used for centuries as tools for healing. They are selected for their variety of frequencies and properties. Crystal Reiki utilizes the frequencies that reside within the earth and amplifies them through the power of Reiki energy. The earth vibrates at a specific frequency known as the Schumann resonance. Traditionally this resonance is thought to hover around 7.8 Hz though it varies from region to region. Indeed, believe it or not, the earth behaves like a giant electric circuit. This is interesting because science is beginning to understand that we are deeply connected to the earth's resonance. These frequencies are thought to impact our autonomic nervous system, brain and cardiovascular system. But not only are there naturally occurring frequencies that impact us, but also man-made frequencies such as wi-fi and LTE. Assumed that we understand ourselves as electrical beings, think electroencephalogram or electrocardiogram, and thus us being deeply intertwined with the global electrical circuit of our planet's electromagnetic field, we understand that it is very well possible that artificial frequencies such as the use of mobile phones can create interferences with our system that can cause imbalance. But also natural events such as peak solar flares can cause shifts in the earth's geomagnetic activity with effects on human health. Shifts in the earth's geomagnetic activity are correlated with hospital admissions, death from heart attacks and strokes, as well as many other physical imbalances such as depression, fatigue, mental confusion, and even the number of traffic accidents that occur. 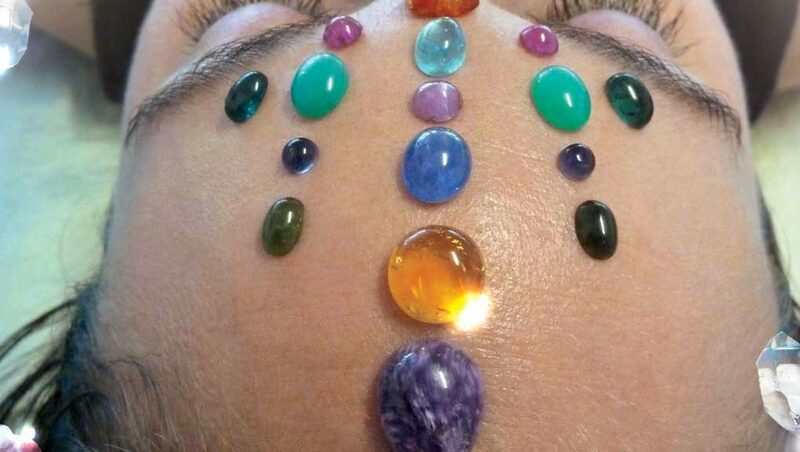 In a Crystal Reiki session, you use individually selected crystals and place them in a specific layout around and on the recipient and then allow Reiki energy to flow through you into the crystals and then the recipient. Just as sunlight shining through a crystal prism creates facets of light, Reiki energy passing through the crystals will create a specific energetic resonance within the recipient that their body will then use to harmonize imbalances. The presence of Reiki energy amplifies the energy of the crystals and helps the bodymind of the recipient focus on specific areas of the body, conditions or levels of awareness that are ready to heal. In a Crystal Reiki session, Reiki energy is coming from above through the crown chakra while the crystals used in the session bring in a grounding energy from the earth. Together these energies work seamlessly. Although crystals are considered a part of the mineral kingdom, minerals are less transparent than crystals and darker in color with a consistent chemical structure. Minerals are thought to strengthen the physical aspects of the body such as bones, tissue etc. Both minerals and crystals can be used to help balance the recipient in a Crystal Reiki session. Crystals have the ability to absorb, channel, focus and emit energy. They can generate energy through a process known as the Piezoelectric effect. 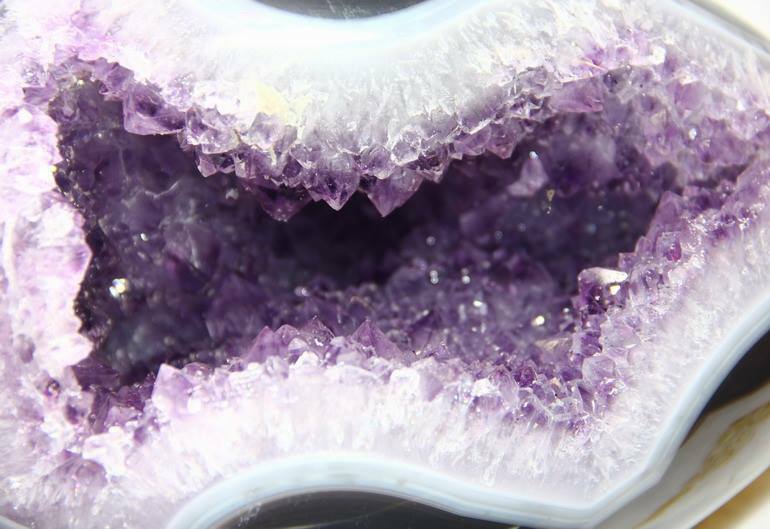 This effect occurs when pressure is applied to the crystal which then generates energy. In the same way, if a voltage is applied to a crystal such as quartz, it will bend or slightly change its shape. We all consist of electromagnetic energy. When holding a crystal, your frequency interacts with the crystal, creating a similar type of Piezoelectric effect. The crystal vibrates and the energy it creates can be transmitted to your own internal energy pathways. The energy of Reiki will infuse the intentions of the practitioner and recipient as well as the energetic properties of the crystal to create a unique high frequency.